A raid at a Dallas-area technology company netted nearly 300 illegal aliens last week, immigration agents’ largest haul in a decade. But after a couple of days of attention-grabbing headlines and film footage, the long-term impact of the operation is unclear. Of the 280 arrested CVE Technology Group workers, hailing from 15 countries, 174 were released on their own recognizance. U.S. Immigration and Customs Enforcement (ICE) said overcrowding at detention facilities necessitated the release. The freed workers were given notices to appear before a federal immigration judge at some future date (wink, wink). ICE has been especially busy in North Texas. In 2017, the most recent year with complete data, Dallas ICE agents arrested nearly 17,000 people, the most in the United States. The region extends south to Waco and west to Lubbock. While touting workplace raids as crucial to breaking up criminal enterprises, ICE rarely discloses the names of those arrested, making it difficult to know what actually becomes of their cases. 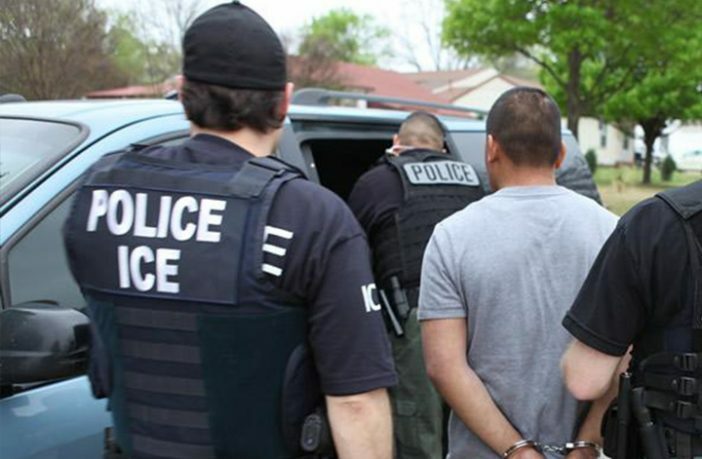 The Center for Immigration Studies is suing ICE for slow-walking or blocking the release of arrest and deportation data. If an earlier large-scale bust at another Dallas area company is an indication, CVE will be back to business as usual. Last August, ICE hauled away 160 illegal aliens working at Load Trail, a trailer manufacturer. That raid came four years after the company was fined $445,000 for employing 179 illegal laborers. Though illegal aliens constituted roughly a third of Load Trail’s workforce, the company was making trailers two days after the latest ICE action, with some of the same apprehended workers back on the assembly line. Although Load Trail is under a court order to use the federal E-Verify employee-screening system, a company insider told WFAA News there was a workaround. “I would take [applicant]information and enter it into E-Verify. If it kicked it back, then they would have me hire them under their other company that was not under court order to E-Verify,” the informant said. Financial penalties, perhaps? The standard fine for hiring illegal aliens who constitute 30 to 39 percent of a company is $2,411 per conviction on a first offense. If that seems like a serious disincentive for having illegal aliens on the payroll, the repeat-offending Load Trail suggests it’s not nearly punitive enough. Clearly, some firms merely consider such fines to be the cost of employing low-wage migrants, and worth risking periodic ICE roundups. A week after the raid at CVE, neither ICE nor the U.S. Attorney’s Office has said what, if any, charges or might be brought against company employees or executives responsible for hiring unauthorized workers. Also no word on charges stemming from ICE’s second raid of Load Trail eight months ago (though current and former employees are suing the company for failing to pay required overtime). Next Article ICE Has Angered the Facebook! That’s conspiracy if they were deliberately doing an end run around E-verify by hiring them under another company name when the names were already rejected. And there should be some big time fines when a company gets caught with such a massive number of illegals for a second time, or perhaps even jail time. You have to love Pelosi’s outrage over Trump discussing to drop off illegals in her district. What’s her problem? She said there was no crisis so why is she upset over a problem she says doesn’t exist. She was the same one who said MS13 members have a “spark of humanity”, while most of us see them as cutthroat criminals. And aren’t illegals supposed to be the pot of gold at the end of the rainbow? Aren’t we all supposed to be richer and better off for them? So let the sanctuary cities have them. The rest of us don’t mind if you pay out that welfare and school and medical costs. Of course now some on the left are saying it is a crisis but in their Orwellian world it’s all Trump’s fault. Not them and not the judges who have hamstrung everything he has tried to do.